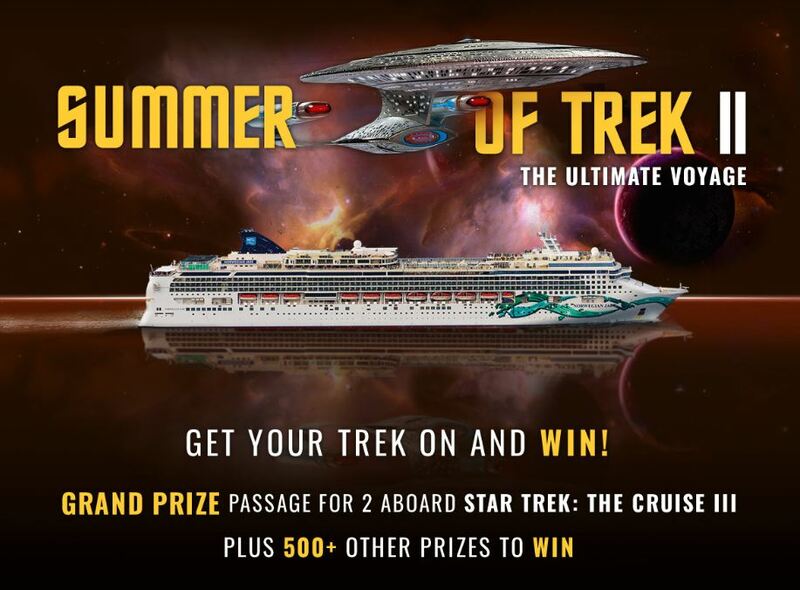 WIN ONE OF OVER 500 PRIZES and you could be the one lucky entrant will win a Cruise for Two on Star Trek: The Cruise III! This is a Star Trek experience unlike any other this side of the Gamma Quadrant! Boldly go where no one has gone before aboard the spectacular Norwegian Jade – 6 days packed with special Star Trek-themed shows, events and programs! Almost every event includes an interactive element which makes the Voyage a truly unique, personal and immersive Star Trek experience. Eligibility: Open to legal residents of the 50 states of the US and the District of Columbia who are 21 years or older at the time of entry. Void outside the U.S. and where prohibited or restricted by law. Promotion Period: The “Promotion Period” begins on June 1st, 2018 at 12:01 AM (New York) and ends on August 31st, 2018 at 11:59 PM (New York). Winners will be chosen on or about September 4th, 2018. First Prize: Five (5) potential winners will have a choice of a one-year subscription of their choice to Star Trek Starships XL Edition, The Official Star Trek Starships Collection, or the Star Trek Discovery Collection. The approximate retail value (“ARV”) of each first prize is five hundred and forty dollars ($540) for Star Trek Discovery and the Official Star Trek Starships collection and three hundred and sixty dollars ($360) for Star Trek Starships XL Edition. The entire year’s subscription will be shipped in one shipment after selection of the prize. Twenty-five (25) potential winners will receive a bundle of five (5) regular issue ships from the Official Star Trek Star Ship Collection. ARV is one hundred and fourteen dollars and seventy-five cents ($114.75). One hundred (100) potential winners will receive a ten-dollar ($10) gift card to the IDW Publishing online store. ARV ten dollars ($10). One hundred and fifty (150) potential winners will receive XXXX. ARV value of xxxxxx ($xxxx). Two hundred potential winners will receive a ten-dollar Eaglemoss shop gift card, ARV ten dollars ($10).